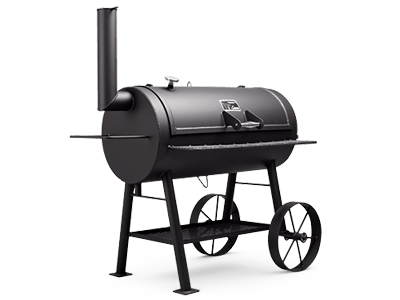 The Abilene 20" provides 750 square inches of grilling surface. Add the 2nd level slide-out shelf and the cooking surface grows to 1,268 square inches. Superior craftsmanship combined with rugged ¼-inch steel construction means this will be the last grill you'll ever buy. The Abilene's heat retention qualities and dual-damper air flow system insure precise temperature control and virtually guarantees your status as the neighborhood grill master.